Northeast Florida is a wonderful place to live, but the weather can be extreme, especially in the summer. As a result, commercial and residential customers in the greater Jacksonville area have come to rely on Northeast Florida Heating & Air to keep their cooling and heating equipment operating at peak performance. The success of our family-owned business is based on your total satisfaction, and we continue to practice our founding principles of standing behind our work, always following through and putting everything in writing so you know the cost before we start any work. Since 1987, we’ve provided complete heating and AC installation, repair, and maintenance services to help optimize comfort and reduce the chance of unexpected breakdown. Furnaces, heat pumps and air conditioners are built to last through many seasons, but the contractor who installs your new system will have the greatest impact on utility costs, comfort and unit longevity. At Northeast Florida Heating & Air, we professionally install every system to deliver the exact amount of conditioned air needed to keep every room comfortable. 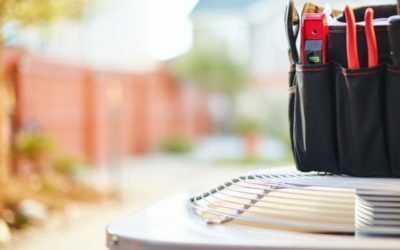 You’ll find out a lot about your HVAC service provider when your AC unit or heat pump malfunctions during the hottest part of the summer. We maintain a large service department staffed with the best NATE-certified technicians in the industry. We stock many parts on our service trucks, and 24/7 emergency service is always available. The heat pump outside was humming loudly and the temperature inside the house was climbing. A sticker on the unit indicated that it had been installed by Northeast Florida Heating & Air. I figured they would be more familiar with my system, so I called them. Boy, am I glad I did. The service technician had bad news about my 12 year old heat pump. The compressor motor was toast. He offered several repair options but due to the age of the system, I decided that replacing just the compressor was only a temporary fix. Northeast worked with me to replace the entire system. On the day the new system was installed, the were on time, very professional, and left no mess. As they were leaving, the house temperature was going down and my gratitude was going up. Northeast Florida Heating & Air has my sincere appreciation and endorsement. Very professional staff from start to finish. They treat you as if you are family and explain every step of their process. They do not try to upsell you on items that you don't need and are very honest and upfront. You get your money's worth when you have them handle your heating and air needs. I had to replace my entire unit and and when my new unit was installed it looked 10 times better than the original installed unit. THIS COMPANY IS A SIX STAR COMPANY IN MY OPINION AND I WOULD NOT ONLY RECOMMEND THEM BUT WOULD USE THEM AGAIN AND AGAIN. Special thanks to Dustin and the install crew who's names escape me at the moment but made my unit look outstanding. Technicians seem to know their AC Systems and spend the time to diagnosis and repair the systems. Warranty work does require the techs get prior approval from the manufacture or insurance company before repairs. I strongly recommend this Company for your Home or Business HVAC Servicing and Repair. Our heat went out on Wednesday night and I called Northeast FL the next morning. They quickly sent a technician (Dustin) to our home to inspect our system and as we feared we were in need of a new AC unit. Dustin answered all the questions we had and explained the many different problems with our current unit. The crew came out the next day and installed the unit and so far we are loving it. We opted to add the air purifier and I can already notice a big difference in our air quality. Dave, from Northeast Florida Heating & Air, is the best. Knowledgeable, thorough, and friendly.Had a serious issue with mold build-up in my air handler. He disassembled the unit, clean it, treated the interior with germicide, re-taped tears in ductwork, re-assemblked, and set-up the system/thermostat.I would definitely recommend NEFHA. 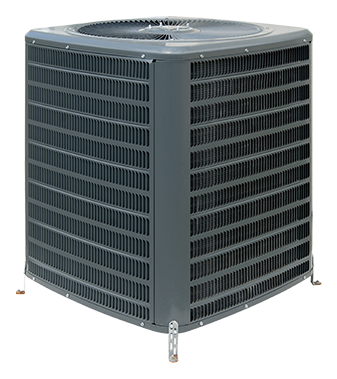 Northeast Florida Heating and Cooling has serviced all of our air conditioning and heat pump needs and requirements for probably 20 years. In all that time, they have been prompt to schedule and respond to an appointment, always treated us with courtesy, consistently provided us with knowledgeable service and always found the most economical solution to our needs. 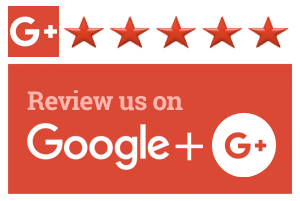 We give them 5 stars, and recommend them highly to anyone. Tech was friendly and timely and extremely helpful. Would definitely recommend. He found our problem in 5 minutes and had it fixed. Didn't try to find a more costly solution. I appreciated that. Prompt response. Very friendly and professional service. Turns out we needed a completely new system. We had a couple options we wanted to look at with the new system. Ultimately, it wasn’t cost effective to go with our original thoughts but our techinician Dustin listened to what we wanted and was able to come up with a very good solution. NEFHC has also done service work me previously and we got the same great service at a reasonable price. Appreciate the personalized touch provided by NEFLH&A and the professional technicians who service our system. Choosing a heating and cooling contractor can be confusing and time-consuming, but we make it easy by offering every HVAC service you’ll ever need under one roof. First and foremost, we build customer relationships that stand the test of time. Years after your system was installed, we’ll still be there to help ensure your equipment is running reliably and efficiently. All of our comfort advisors are NATE -certified, which is your assurance the work will be done by a trained professional. We won’t sell you a product we wouldn’t be willing to install in our own homes or offices. We represent Trane because of their proven record of innovation and rugged dependability. Must present at time of service. On any service repair over $200. Must present coupon at time of service. Call dealer for more information. If you need cooling or heating installation, repair and maintenance services for your Jacksonville, Julington Creek, Fleming Island, Ponte Vedra, Orange Park, Atlantic Beach, Neptune Beach, Jacksonville Beach, Mandarin, FL or surrounding area home, call Northeast Florida Heating & Air today. One of our friendly comfort advisors will answer your questions and arrange an appointment at your convenience. Just had a service call performed by Dave and Jacob and it was great !in this day and age it is a rarity to find a company with integrity so I am unfortunately always leery about companies and the service they provide ,but my mind was changed both Dave and Jacob showed up on time and acted in a very professional manner and actually were very comfortable in the way they greeted me and interacted with me so it cut down on the awkwardness, and I enjoyed that I was kept informed throughout the whole process and it was explained to me in layman’s terms not industry talk! I am highly satisfied with the service and the quality of the 2 employees Dave and Jacob, I highly recommend this company and for sure those 2 individuals.I also will end by saying that they have a customer for life that is for sure and I will tell anyone that will listen what a great job they did! Dustin came out to us and I was immediately impressed with his knowledge of HVAC. He was patient with us and very respectful. He got the system back on track in no time at all. I recommend this company highly.